I've been hating this indecisive California weather. 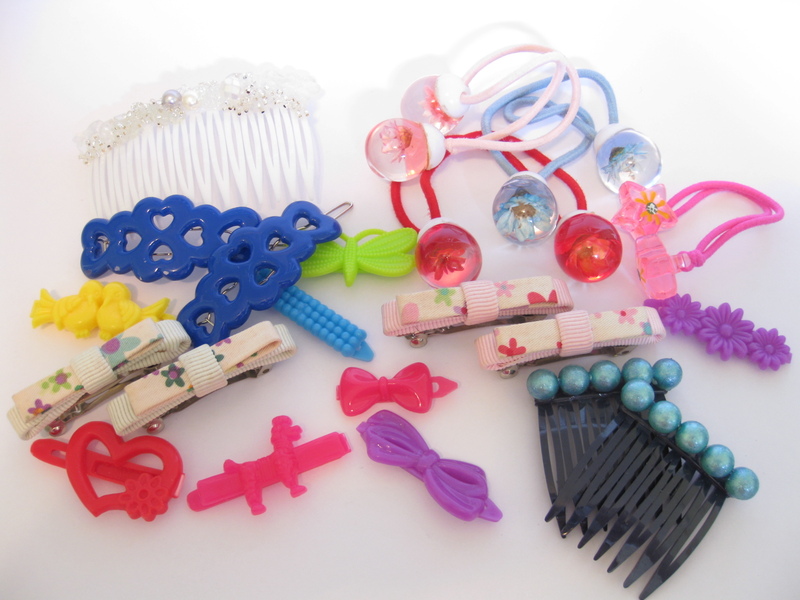 The sun has run away and it's been a bit gloomy and foggy outside lately to to add just a little punch of color, I've been wearing bright, playful hair accessories! 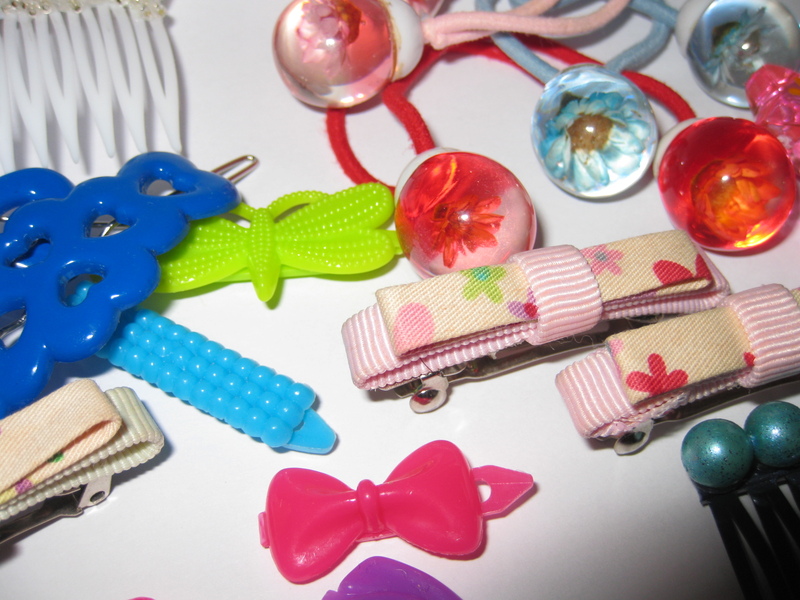 I love the little plastic "kiddy" clips. I've never grown out of them.. 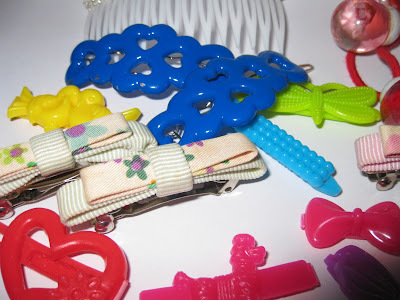 The little clips with the fabric bows and flowers are one of my favorites. I picked them up at a flea market years ago. 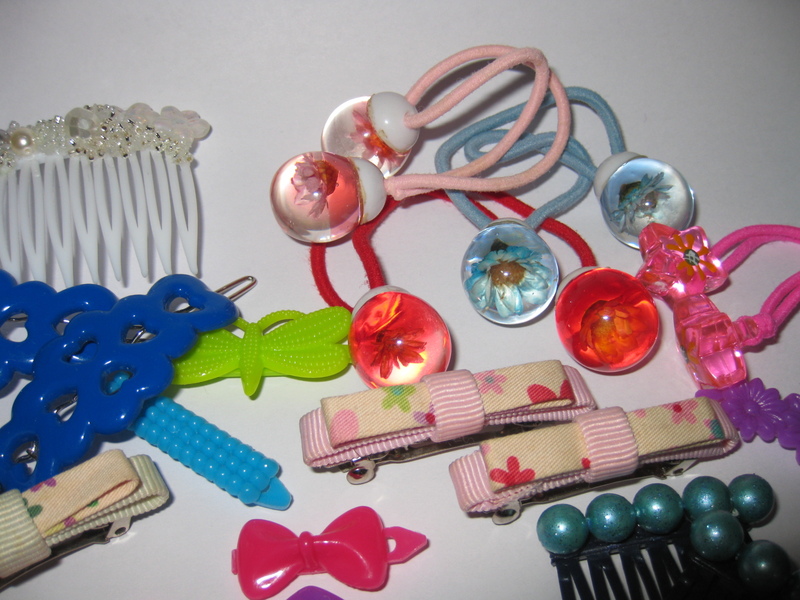 When I was a kid, I used to love hair ties with the little plastic "balls" (LOL) -I got the 3 above from The GAP when I was like 8 years old. My friend gave me the "star" ones when I was in 5th or 6th grade! How do you like to wear your hair and what are your favorite hair accessories lately? @ Pamela.. 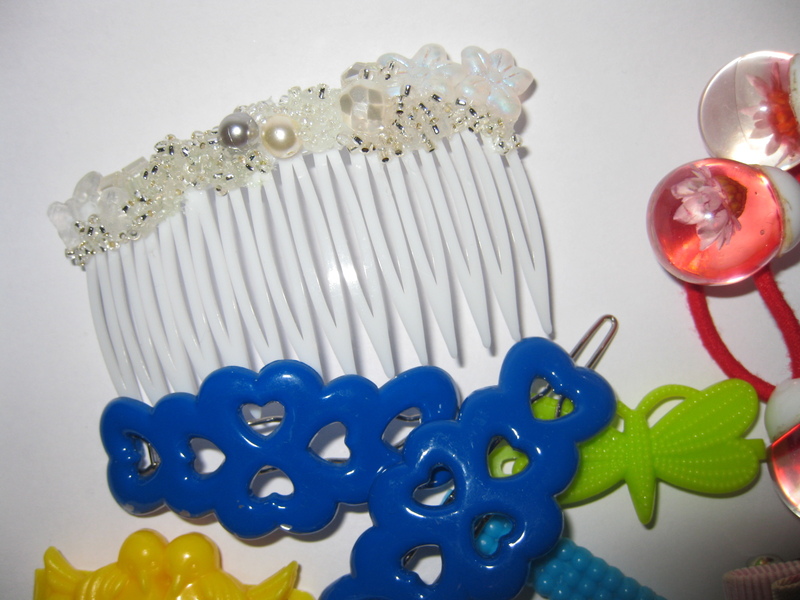 I love headband braids! I wish I had the patience/skill to do them -mine always end up messy. Your hair sounds cute! And I like headbands too. They're great for a quick, easy fix. I was looking at a post from a few days ago and i noticed that you bought nail polish in a lilac color. could you do a post on that? Sure thing! I just have to do a NOTD ..hopefully in the next few days when I finally have some time. That's really cool how you used to wear a different hair tie every day.. When I was younger, sometimes I'd stick as many clips as I could in my hair (I probably looked insane!) I don't really have any of my childhood toys (passed them on to my siblings or gave them away) and I REALLY wish that I had kept some of them.. That's really neat that you still have yours. Yea.. I love colorful things -they make me happy. Have an awesome trip btw! Awesome colorful collection! Attracts me a lot. Thanks for sharing such nice pictures.